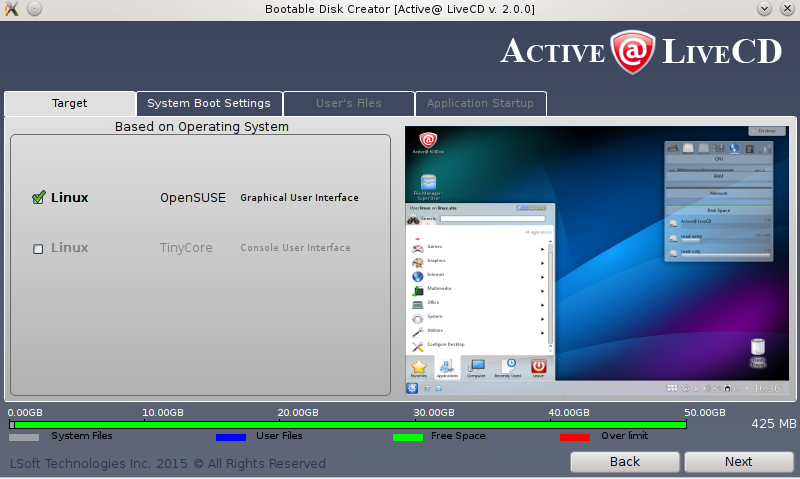 Bootable Disk Creator for Active@ LiveCD helps you prepare a bootable CD, DVD disc or bootable USB Flash drive. 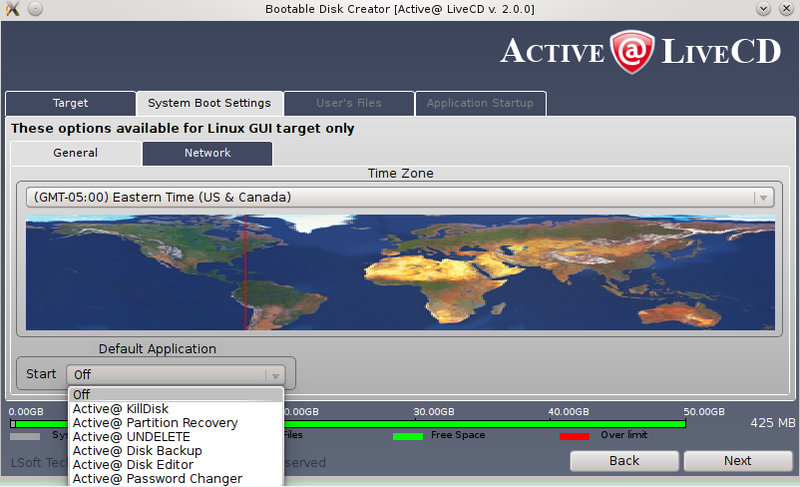 Use bootable disks to start an unbootable PC with a damaged hard drive and recover data, recover partitions, create a disk image or repair security access issues. Select CD/DVD/Blu-ray (see screenshot "Select Media"). Click the Next button. 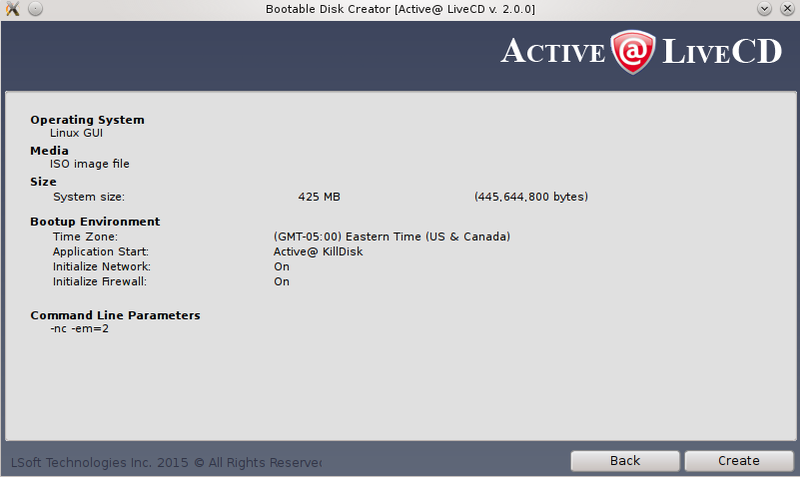 Insert a blank or re-writable CD or DVD into the disk writer. Confirm Linux openSUSE base operating system. Click the Next button. Change boot settings, if needed, on other tabs. The confirmation screen appears. Click Create This will start ISO file preparation and burning process. Insert a blank USB Flash drive device into any USB port. Select USB Flash Drive. (Screenshoot "Select Media"). Click the Next button. The confirmation screen appears. Click Create. A progress bar appears. After the ISO has been created and copied onto the USB device, use Eject or Safely Remove Hardware to stop and unplug the device. 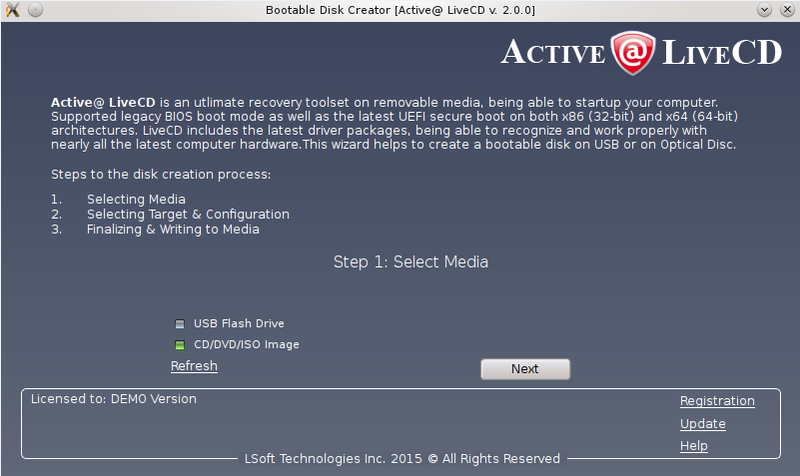 How to start a computer from CD / DVD or USB Flash drive?